The recent flurry of industry agreements signed by AirMap with Indra, Honeywell, Fortem – is this part of a wider strategy or a more pragmatic development process? What we’ve been trying to do in support of industry development is to break down this UTM world into a set of components, into an architecture that has interfaces between systems. That makes it much easier for those trying to connect to the industry or purchase products to understand where to locate particular players. AirMap has been trying to present a type of architectural approach to the industry, so we’re not stuck at the level where there are 60 UTM-related suppliers in Europe and how do you pick between the 60 vendors? Some of the recent agreements are specific to our functionality. So, with the announcement with Honeywell, they’re providing a tracker, something that can be attached to a drone, supporting both cellular and satellite technology. It’s focused on BVLOS missions, so we now have a tracking system that can attach to your drone and that’s compatible with AirMap’s UTM system. It’s not an exclusive relationship. With the announcement with Fortem around counter-UAV technology, Fortem is a provider of low altitude radar that can be used for a number of different applications – so AirMap UTM now supports these counter-UAV technologies. At a high level, AirMap keeps track of all the good guys and the non-compliant actors, the bad guys. These solutions can work independently but together it’s an improved system. And again, it’s a non-exclusive relationship but a tangible example of how the UTM providers and counter-UAV providers can work together. There is certainly a new emphasis on integrating UTM with rogue drone detection capabilities and with air traffic management systems. These elements are for the most part currently separated. Exactly. Everything we do is through open interfaces, so we’re not the only people in the world who can do this; we want others to do this in a similar fashion. Our announcement of the new relationship with Indra is an example of a traditional air traffic management provider, who has a number of ANSP customers, and they are working to understand this new UTM world. So what are you getting from the partnership with Indra? For a company like AirMap, that is entering the market, it’s a big world and having someone like Indra as a strong partner will help us reach a whole new set of customers. And Indra is getting AirMap’s experience and technology on the UTM side. In the USA, the LAANC system is split between the part the FAA provides as the authority and parts that the UAS service suppliers (USS) do. We’re the leading provider of LAANC authorisations in the USA and in the case of skyguide, we’re doing both parts – the air traffic control system, the part that connects to the ATM systems and the front end. This is an example of the FAA’s LAANC programme’s innovation being exported to Switzerland and adopted by another ANSP. Is that going to generate commercial revenue for you? At the end of the day, yes. In Switzerland the regulator is currently sorting through whatever charging mechanisms will be associated with the use of the system and we as the vendor will support whatever they decide. At the moment it is unclear how an ANSP will get its costs covered for the investments it needs to make in these kinds of solutions. When do you think you, as a UTM service provider, will be able to make the first dollars out of charging somebody to fly a commercial BVLOS flight? This year. Commercial BVLOS operators around the world are paying for the services that they need to perform those missions. The role of AirMap is to automate as much as possible those payment mechanisms, so that we can remove further friction from the system and increase the number of flights. I don’t think anybody is clear yet about the business case for UTM. It will happen. I would say that AirMap, in general, believes it’s the commercial operators who will want to fly missions that need services from ANSPs to support them and therefore there needs to be a fee that goes from the commercial operators to the ANSPs, to cover those services. Let’s talk about your relationships with ANSPs – how different are they, how different are the strategic business, technical agreements you have signed with them and how do you see these relationships evolving over the next few years? Do you have a preferred relationship model? Is there a relationship where you think, okay, this is what works best for both sides? What I would say is that we offer incentive packages that any ANSP can select from, based on their needs and where they are on their journey. I guess you could say it’s based on our understanding of the market. I’d say one is roughly related to U1, one is somewhat related to U2, another one is more focused on BVLOS. And these sort of stack up, so they build from the prior capabilities. Those are the packages that we define and present to our ANSP customers, from which they will typically select. Or they might need minor changes of the basis of their own regulatory environment, for example. But broadly, we offer the same fundamental core product to all of our customers, and they turn features on and off based on what they need. Another very broad question, but when you look at the speed of development of UTM around the world who do you think is developing the most mature, pioneering, working UTM programme? Who’s in the lead – the Far East, Europe or the USA? There are so many difficulties to this question because the definition of UTM functionality is still inconsistent. So, what’s the role of UTM and what functionality is needed? Of course, if you look at the USA, it has by far the highest volume of flights today, and the LAANC programme that the FAA launched has been a wide success, with continued growth in the number of people using the system. So you could say in that case the USA is a leader. The USA also has a very active programme with the NASA TCL advanced research of automated de-confliction and so on. It has the IPP activities, which are public-private partnerships. There’s a broad set of things happening in the USA where they are leading in those areas. But Europe has similar kinds of activities. For example, you have the U-Space demonstrator network and over the summer they’ll be doing some very interesting missions. Then, of course, we believe that our activities with skyguide are a shining example of deployment of U1 and U2 and even some U3 services in the real world. In operation. It’s the most self-contained, complete offer. 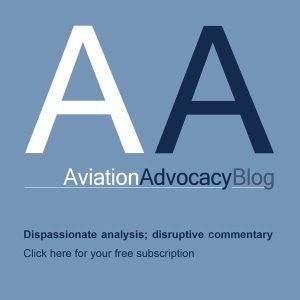 Because in the FAA they’ve provided a set of functionalities and a specific functionality that’s highly adapted – but its less comprehensive. For example, the FAA’s programmes are not yet focused on automating BVLOS operations. What role can you play in helping commercial drone operators optimise their BVLOS operations? We have a set of supporting functionalities – some of them used for strategic de-confliction and some for other aspects (collectively available within “BVLOS Operation Enablement with AirMap UTM” programme – editor). You’ll see us do more over time in calculating air and ground risk for certain similar operations. We will be trying to automate as much as possible. We do quite a bit in terms of being involved in the approval of the mission through LAANC-type capabilities and providing situational awareness for other traffic along the route. And there’s a set of functionalities that we do today to try to mitigate the risk during the operational phase. For many commercial drone operators BVLOS is the key to their future business plans – would you agree? Absolutely. One hundred per cent. Look at the Honeywell announcement, that’s a tracker designed to do certain kinds of BVLOS missions. If you look at the Fortem announcement, it’s not just about counter-UAV it’s also about low altitude radar, so you can have enhanced visibility into corridors for traffic, for BVLOS missions. If you look at the Indra announcement, it relates to ATM/UTM integration, so that the ATM system can have more visibility into UTM missions and that the UTM manager can have access to information on manned traffic flights from secondary radar. They are pieces of the story that come together to try to meet the demand for these commercial operators. So where does AirMap stand in terms of helping to develop urban air mobility operations? Is it a separate issue for you? Are you dealing with, not just ANSPs now, but city authorities? Is this something that you can actually play a proactive role? I would say the short answer is yes, we have a role there. The good news is, particularly with the U-Space framework, it does progress from these basic building blocks. So the kinds of things that we are doing are proponents that are going to be critical to have in place for UAM to be successful. Specific to UAM, I would say: Stay tuned – we’ll have more to say about this. What’s your biggest technical challenge? Is it tracking BVLOS commercial operations beyond cellular networks and understanding what the limits to the mobile systems could be? The Honeywell announcement addresses your first point. The biggest challenge we have is trying to do the same thing many different ways, in different countries and regions of the world, where there’s no unified view. These things come along so quickly that they outpace the normal standardisation process. That’s been our biggest effort, because we are a global company operating in many places. It’s just trying to find a way to do all these things that people want to do, in different ways, in some fashion that’s common. 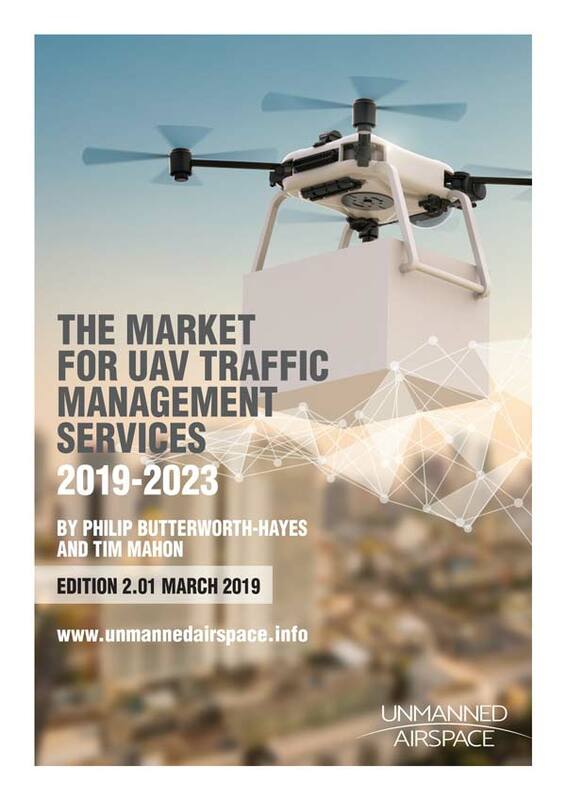 It seems to me the world is divided between those for whom UTM and the drone industry is essentially an opportunity and those for whom it is a threat and shouldn’t be allowed at any cost. So, when you look at some of these countries who are not yet ready to address some of these issues what can be done to make them more friendly towards the idea of UTM and the possibilities of drone operations? Well, I think the work that the World Economic Forum has done with the publication of the white paper on accelerated drone operations is a helpful component. I think in general the work that’s being done in the USA and Europe, in Japan, Singapore and China is providing representative examples that are valuable. I’m looking forward to seeing the U-Space regulations start coming out of the EU here this year. The work that we’re doing with skyguide is intended to be a lighthouse project to show what’s possible. There’s technology, regulations and operations. There’s the economic issues, such as charging. We are running very fast and inviting others to follow. 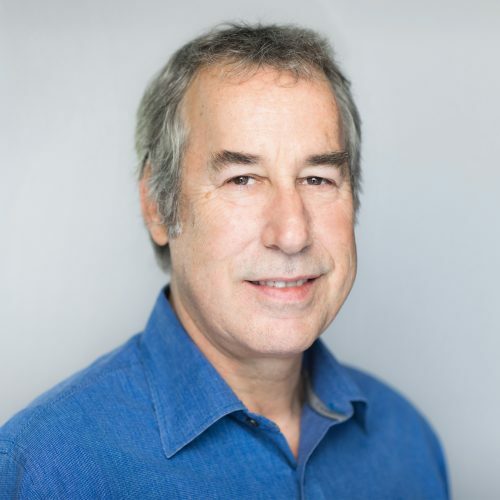 We know that because we’re moving quickly and early, we will probably have to go back and do some things (differently) as the rest of the industry standardises and normalises things after we complete. That’s the risk that we take. What sort of things do you think you might have to re-evaluate? The rest of the industry will look at what we do, and they must ultimately determine whether they’re going to do it a different way. And that’s the standards’ process; they may do it a different way because they’ve found a better way, or they may do it differently for another reason. And they may do it the way we did it because it works. The UTM industry is very competitive but there are also areas of cooperation – how do you see this competition v cooperation dynamic evolving? We stood up at that GUTMA stage in Madrid last year and said we support the inter-USS protocol. We also implemented it. We also then demonstrated remote ID on top of it and we are actively promoting that as an interoperability mechanism in the SESAR project. So, I hope you see that we believe in an open, collaborative business. I see that but I also see some ANSPs developing strategies that aren’t terribly open to UTM competition. Where we see places where an ANSP is rolling out a solution, developing a functionality from a proprietary app and there’s no need for competitors to participate, we call those areas “AirMap no-fly zones”. And we’re fundamentally against that. So, everywhere where we operate we’re providing the ATM side of this to the ANSPs, we do that in a way that is an open environment that allows all of our competitors to participate. When do you see this commercial, competitive UTM system arriving in the USA? When are we going to start seeing that? But LAANC is that, isn’t it? But you don’t get any revenues from LAANC. That’s correct. AirMap doesn’t charge for LAANC authorisations to our users. We may change that at some point but we don’t do that today. I think the monetisation mechanism in the US is subject to the regulatory framework. Sorting that out is going to become important for the ability for our industry to continue to invest. When do you see that being sorted out? It’s not in my control, so I don’t have that information.